Investors who purchased Lehman Brothers Principal Protected Notes through UBS have won some claims against UBS. Arbitration panels have found in favor of investors who purchased the UBS Lehman Principal Protected Notes only to later find the UBS Principal Protected Notes worthless. Meanwhile, more arbitrations are pending and UBS faces lawsuits filed by various states over the UBS Lehman structured notes. 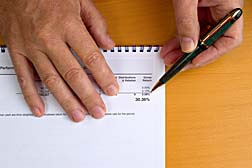 Send your UBS Lehman Principal Protected Notes claim to a lawyer who will review your claim at NO COST or obligation. UBS Lehman Principal Protected notes were created by Lehman brothers and combined derivatives with fixed income and/or equities. 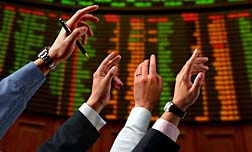 The result was meant to provide the safety of fixed income with the upside of the stock market. Investors allege, however, that they were not told during sales pitches by UBS or Lehman Brothers that Lehman Brothers was the only guarantor of the "Principal Protected" notes. Furthermore, many investors claim they were not told the UBS-sold Lehman Principal Protected notes were Lehman Brothers products. Nor were they aware that the investments were used by Lehman Brothers and other brokerage firms to finance near-term operational shortfalls. With Lehman Brothers in bankruptcy, the Principal Protected notes could have little to no value. In other words, despite the name Principal Protected there was no protection on the principal. The investments were unsecured debt of the issuing companies. The Lehman Principal Protected notes were reportedly marketed to conservative investors who sought capital preservation, a reasonable yield and modest gain in principal. Investors allege UBS continued to sell Lehman's Principal Protected notes even through 2008 when concern about Lehman's financial security was growing. UBS reportedly sold almost $1 billion in principal protected notes to US investors, and UBS was reportedly the second largest seller of UBS Lehman Principal Protected Notes, second only to Lehman Brothers. In one recent FINRA (Financial Industry Regulatory Authority) arbitration, UBS was ordered by a three-person panel to pay the complainant $2.2 million. According to a Reuters article (08/25/10), prior to the most recent ruling, UBS lost five of six arbitration cases and, in some claims, was ordered to pay full restitution and legal and court fees. Awards ranged from $200,000 up to almost $530,000 for a couple who invested in the UBS Lehman principal protected notes. UBS also faces complaints from various states, including New Hampshire and Missouri, for allegedly using unfair sales practices and recommending unsuitable investments. According to a statement released by Jeff Spill, Deputy Director of Securities Regulation for Enforcement, "UBS presented these notes as simple, safe investments when in fact they are highly volatile and are subject to shifting market conditions. The safety of these products was exaggerated," (09/03/09; New Hampshire Bureau of Securities Regulation). The New Hampshire lawsuit alleges that UBS failed to adequately supervise its employees in the distribution, offering and sale of the products and did not adequately assess the suitability of the Lehman Brothers Principal Protected Notes. UBS has defended itself, saying that client losses "were the direct result of the unexpected and unprecedented failure of Lehman Brothers," and arguing that the company followed regulatory requirements. Investors who believe that they may have a valid claim arising out of Lehman Brothers Principal Protected Notes or other structured financial products, please click the link below and your complaint will be sent to a lawyer who will evaluate your claim at no cost or obligation. Investors Filing Claims against UBS Lehman Br..
UBS Lehman: How Safe Are Principal Protected ..
What's in a Name? Not Much, Say UBS Lehman In..
Lehman Brothers Fraud Lawsuit Filed by Califo..